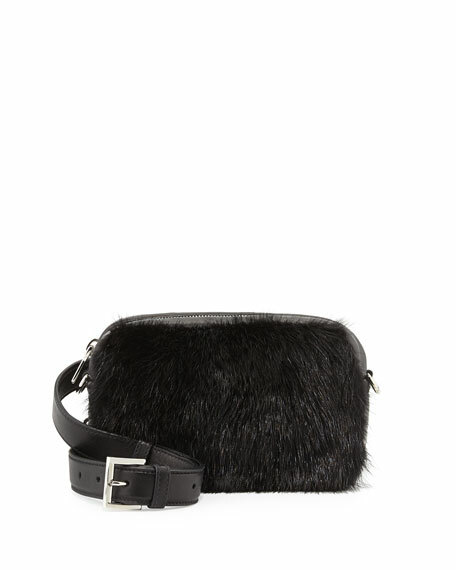 Prada nappa leather and dyed mink (Denmark) belt bag. 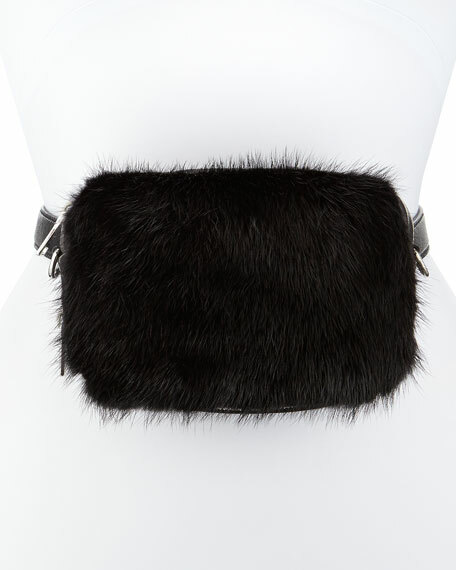 Adjustable, removable buckled belt strap. 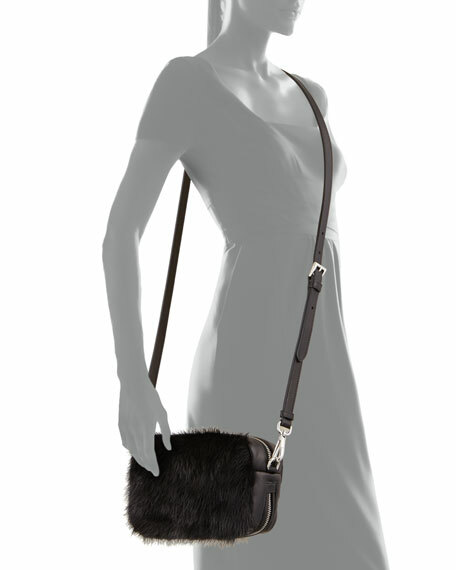 Detachable shoulder/crossbody strap; 23" drop. 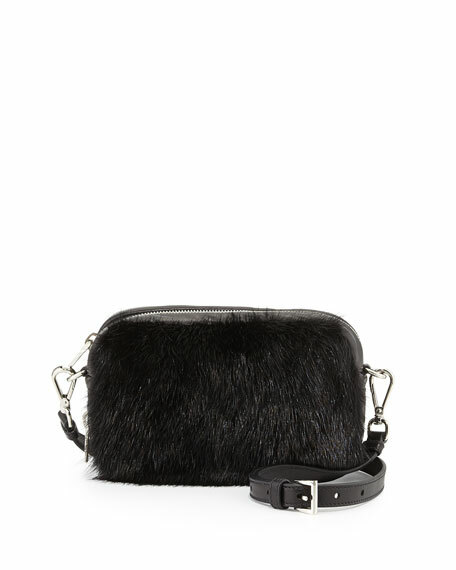 Zip top closure; expandable zip around bottom. Quilted back panel with metal logo lettering. Inside, leather lining and two slide pockets. 4"H x 7 1/2"W x 2"D; weighs approx. 1lb. For in-store inquiries, use sku #884034.